Service expenses can account for as much as 10 percent of the cost of your multi-million dollar fleet of diagnostic imaging equipment. That means every question you ask is worthwhile. “What you don’t know can hurt you” is a phrase that applies to pretty much every area of life, including the process of deciding upon and ultimately purchasing the diagnostic imaging equipment service needed by your hospital or imaging center. 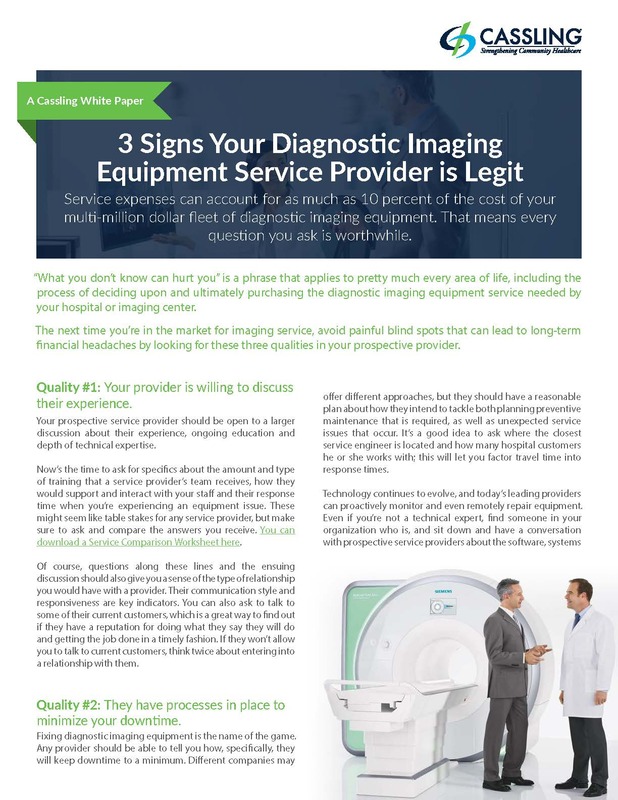 The next time you’re in the market for imaging service, avoid painful blind spots that can lead to long-term financial headaches by looking for three qualities in your prospective provider. Fill out the form to view the full White Paper!